Elektrica is building our rental software to make a unique easy to use platform to rent electric cars. Currently we are using Turo until our software is ready to go in Q2/Q3 of 2019. You can sign up for Turo and get $25 off your first rental. Our list of available vehicles can be found Here. If you don’t see anything available please contact us as we may have cars available that are no currently listed. 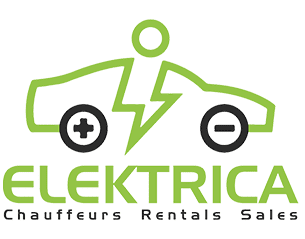 Rent a Tesla at Elektrica with our affordable daily rates as well as hourly Tesla rental rates. Rent Model S, Model x in Austin for the day or by the hour. Always wanted to drive a Tesla, having a wedding but want to drive it yourself? Get the Tesla rental package. Elektrica offers reliable sedan service in Austin and San Antonio. We have the largest selections fo Tesla vehicles in the area. We also provide reliable service to the airport, nightlife, wedding transportation, concerts, sports events, and proms or other school functions. Tesla getaway cars, Tesla caravan wedding shuttle service is available for an affordable rate. Shuttle up to 24 people in a Tesla caravan service. 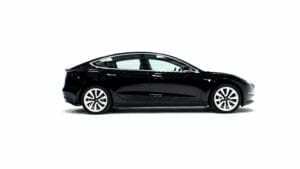 Wedding getaway cars are available in Tesla white sedan and Tesla black sedan. Use the Tesla sedan for wine tour shuttle service and have a great day with your friends touring Fredericksburg, Spicewood and more Texas wineries. Elektrica offers birthday transportation sedan service for those celebrating a birthday and wanting not to drink and drive; designated driver. Get our birthday sedan service now. Use our Tesla sedan service for you and your prom date. Shuttle prom transportation up to 2 couples and get more availability and better rates for this prom transportation service. Everyone needs airport transportation at some point. We offer more affordable rates than other sedans and SUVs. We are reliable, on-time, professional well dressed drivers and offer discounts for companies traveling often. Elektrica has been working with companies of all sizes around the world, gaining traction as one of the first and only green Luxury Car services in the USA. Local to the Austin area, we have a professional team of drivers utilizing either our Tesla Model S, which are the leading class vehicles for luxury sedans or the exciting Tesla Model X SUV that features one-of-a-kind falcon-wing doors. Catering the surrounding cities, we calculate every move to deliver effective and efficient service. We provide great deals for sedan and SUV transportation! If you would rather have a private driver, check out our chauffeur rates and avoid the hassle of driving in a new city. Let Elektrica have one of our professional drivers show you the City of Austin.